Nokia Music app planning an Android and iOS invasion? Nokia Music coming to iOS to take on iTunes Radio? 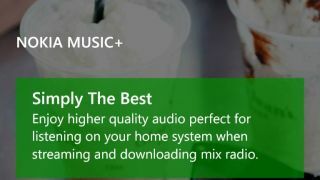 The Spotify-like radio streaming service offers Nokia Lumia users free access to genre-themed stations and specially-curated playlists, while for a monthly fee users can also save tracks for offline playback. So far it is limited to the company's own devices and web browsers, but a leaked training document speaks of availability on iOS, Android, Mac and Windows PCs. The launch would be somewhat of a surprise given speculation that Nokia Music will either be shuttered, or merged with Xbox Music when Microsoft completes its Nokia takeover. A roll out across other smartphone platforms wouldn't be a first for Nokia. It's Here maps apps are available for iOS devices, as well as within the web browser of other smartphones and tablets. The leaked document offered little indication of when the Nokia Music roll-out for Android and iOS takes place, but we'll keep you posted.